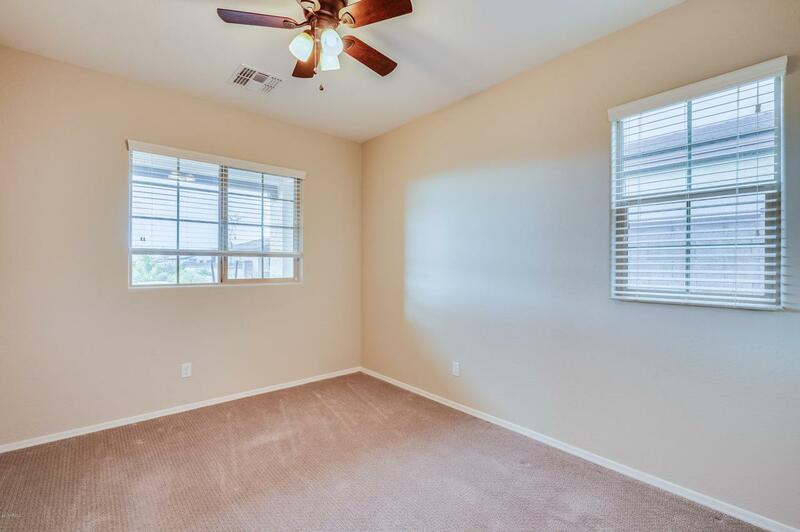 Come see this amazing 3BR +Den, 2BA home in the beautiful Granite Vista Community in Waddell! 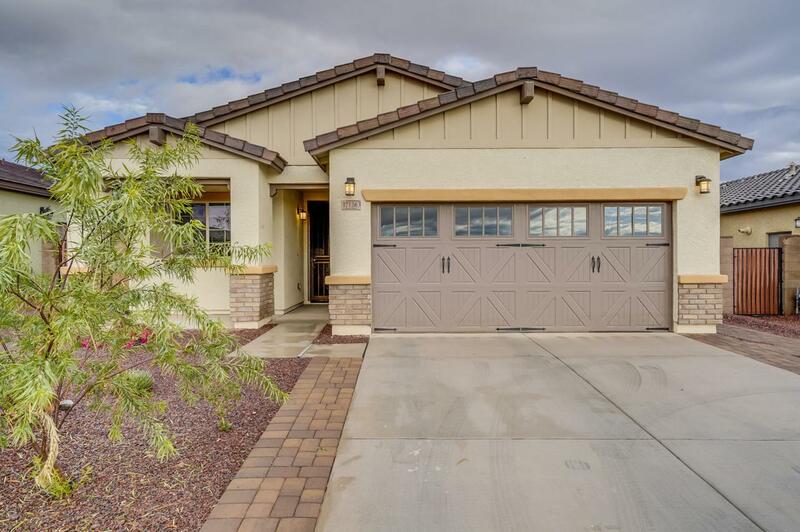 This home features desert front landscaping, 2 car garage, dining & living area featuring ceramic tile and wood plank finish, very spacious bedrooms with the 2nd master bedroom with ensuite bathroom. Home has tankless water heater, dual flush energy efficient toilets in all baths and moen faucets. 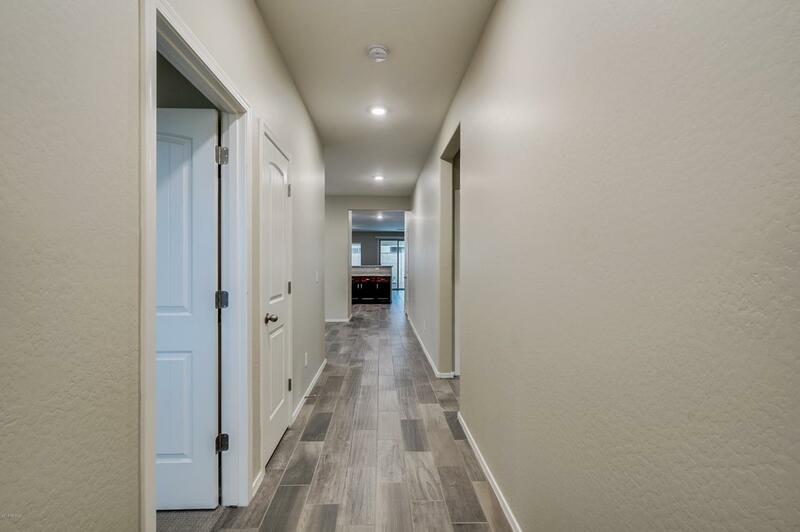 The gourmet kitchen offers ample cabinetry, a walk-in pantry, granite countertops, subway tile backsplash, and recessed lighting. 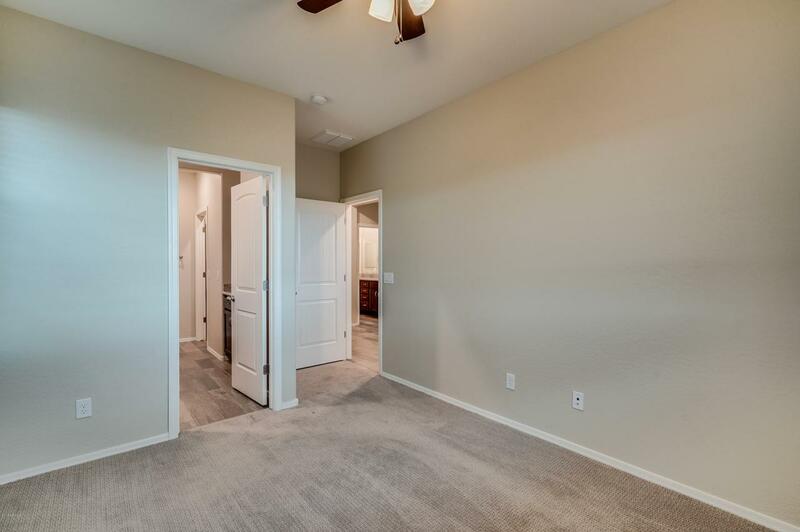 The stunning master bedroom boasts a full bath with dual sinks, separate tub & shower and a spacious walk-in closet. The gorgeous backyard includes a covered patio and extended area with pavers! Home is in a fantastic location sitting directly across from the grassy park.